Buy Midpoint Keys English $159.95 $143.96 Planetary pairs! This powerful Midpoint Keys program can help you add greater detail and accuracy to your chart analysis, making the interpretations you present to your clients more active and robust. The impact of this new element in your interpretations is immediate and profound for both you and your client. "I have been a professional astrologer for 15 years. I have used directed solar arcs, the 90-degree solar arc bi-wheel, and the 90-degree midpoint trees — as Laura DesJardins was one of my main teachers. The predictive accurateness of this method is astounding." We astrologers are accustomed to using planetary pairs when they are found 'in aspect' in a chart, but may find them difficult to use when they make no aspect. This is due mainly to the sheer quantity of possible midpoints, and the difficulty in selecting those which are significant. For most astrologers, time and experience will help them learn how to sort their way through all of the possibilities presented by an examination of midpoints. With our new Midpoint Keys program, you can draw on the experience of a professional astrologer, who, in her daily work with clients, has more than 30 years of experience in using midpoints. Each personalized report you create using Midpoint Keys provides you with the information you will need to begin incorporating midpoints into your own chart analyses. This information can be invaluable for the student astrologer who is just learning to use midpoints, as well as for the professional astrologer who desires the extra details that midpoints provide. Each report gives several levels of interpretation: emotional, spiritual, physical, and in regards to health. For this reason, Midpoint Keys reports are not intended for the non-Astrologer. Astrologers will use a report, in combination with other interpretive tools and skills they have, to determine the level of interpretation appropriate for whatever trigger events and circumstances exist. Health-associative interpretations, for example, are not made as predictions or diagnoses, but only presented as one of many possibilities; moreover, they should only be considered when physical or medical indications exist. The Midpoint Keys program demands the discrimination and understanding of a trained astrologer, more so than many of our other report writers; most of the other report writers give reports intended for the clients to read and interpret on their own, whereas Midpoint Keys is a program intended primarily, if not solely, for astrologers. Nationally recognized lecturer and teacher, Laura Rose DesJardins has been a professional astrologer for the past 32 Years. Her specialty is the ability to forecast future trends and cycles. Laura DesJardins is a nationwide, multi-media personality, having been interviewed by CBS Radio, NBC's "Today Show," and "Sonya Live." She has had articles in "People Magazine," "Orange Coast Magazine," the "Orange County Register," as well as three feature articles in the "Los Angeles Times Business Section." Laura has held "staff astrologer" positions at various radio stations and national magazine publications, and is a lecturer consultant to the exclusive "Golden Door Resort & Spa." Laura has also lectured with the Norwegian Cruise Lines & Princess Cruise lines. In addition, she is the author of the "Astro-Medical Wheel," "Time Passages," and an astrological report writer, through Matrix Software, called "Midpoint Keys." Laura is also a distributor as well as an expo consultant/exhibitor for Matrix Software. 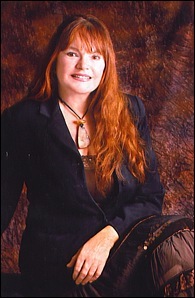 She presently is the director of Southern California Astrological Network, scanastro.com, which she founded in 1986 and is also the former director of the Michigan Astrological Association. Laura believes that astrology is a tool which gives insight into the personal world around you! Insight can come in the form of awareness of our health, career, or just knowing more about ourselves and personal patterns. Your chart is a cosmic diagram of the moment of your birth, which can show future trends and cycles, giving you more knowledge about yourself and others. It acts as a blueprint for your life. Astrology blends mathematics and the intuitive arts into a consultation, which uses time and space as the critical factors to consult with. This is why astrology is so unique, being used since the beginning of historical records, and can also be found in every advanced culture. Built in ephemeris from 600 BC to 2299 AD. Select the chapters/sections to be included in your report (6). Among other things this allows you to turn on things like the introduction for first time customers, or turn it off for repeat customers. Midpoint Keys is a complete program that will function as a stand-alone or in conjunction with other Matrix programs. Reports in the Win*Writer Professional collection work within the same user window making it easy to produce multiple reports quickly and efficiently either individually or in convenient batches.